Enjoying the fruits of our planting this year. Munching on the corn and tomatoes, and patiently waiting for more. 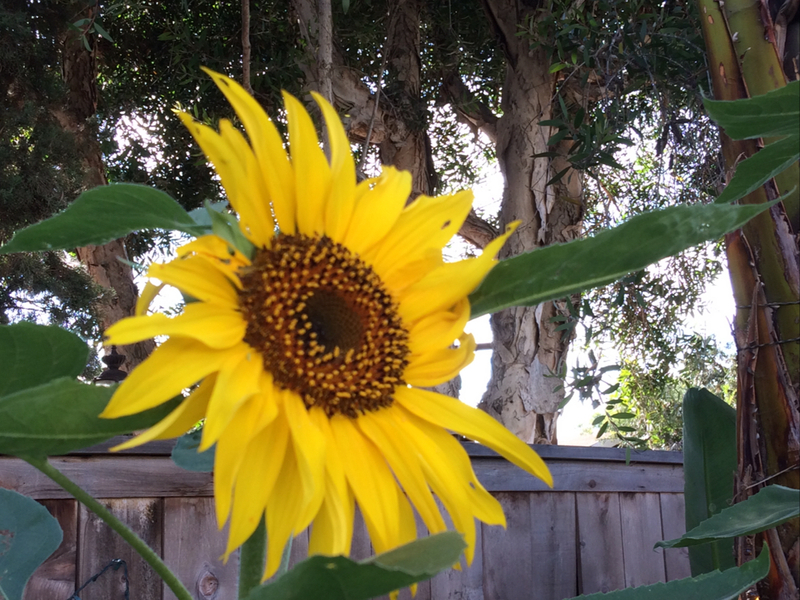 The first sunflower to open. 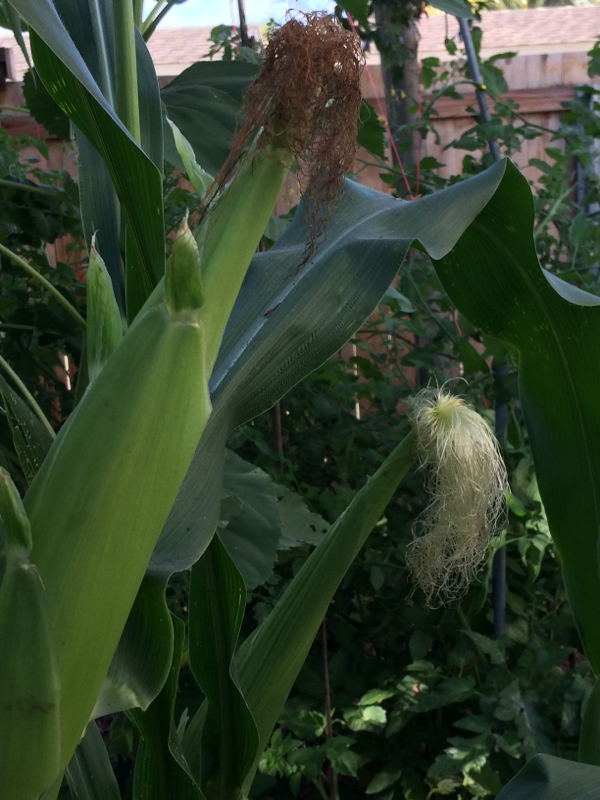 Corn tassel. This one is purple, the others are lovely shades of red, beige, and yellow. Waiting for this corn to be ready. 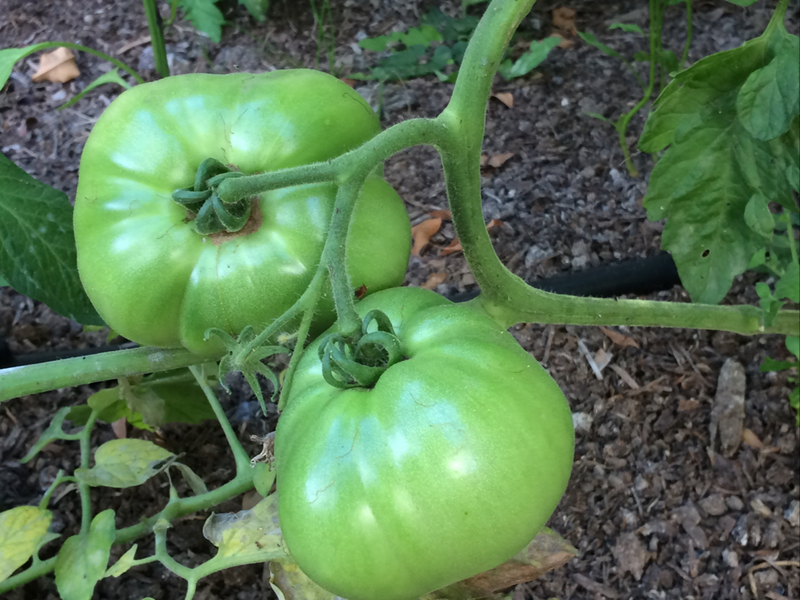 Excited about these heirloom tomatoes! 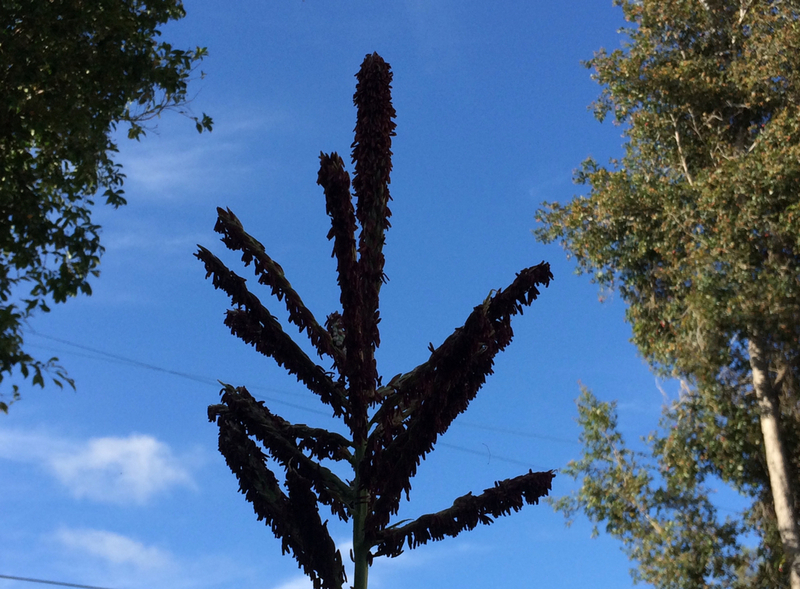 Last year a squirrel enjoyed them before we could. 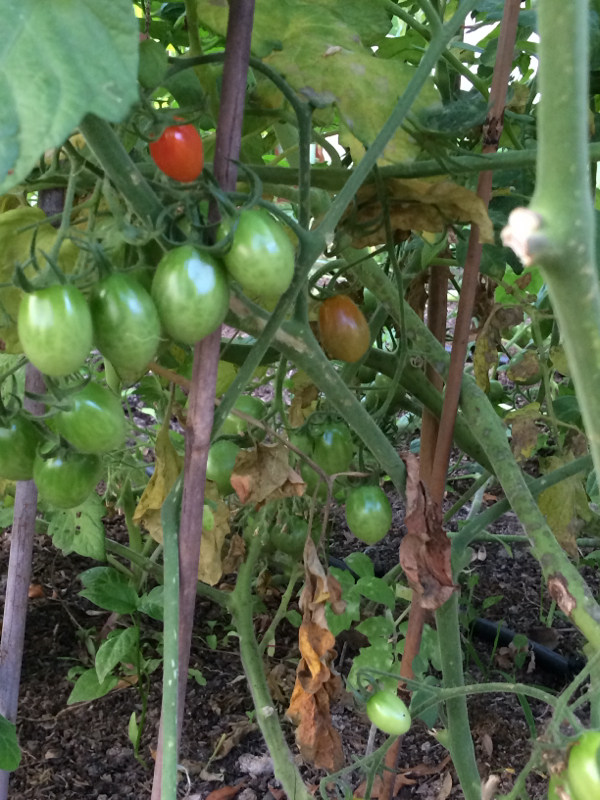 Heirloom cherry, grape, black cherry tomatoes. 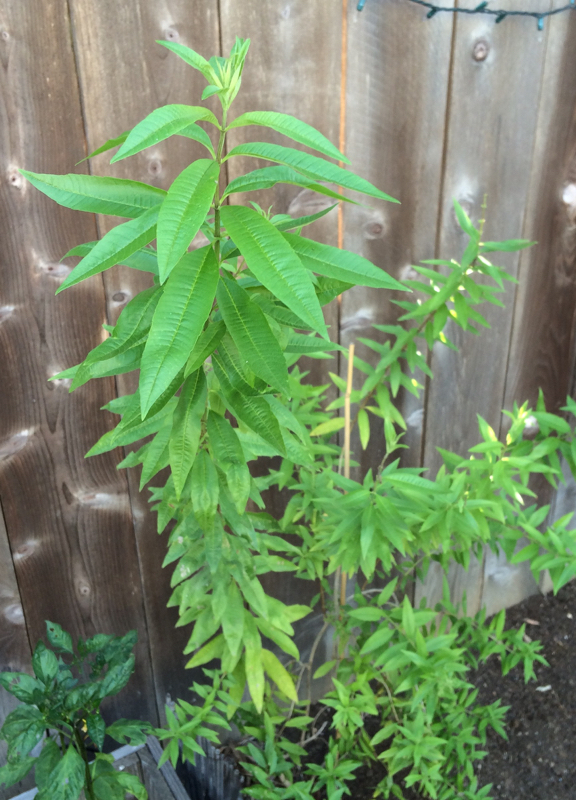 The lemon verbena has been growing like crazy! 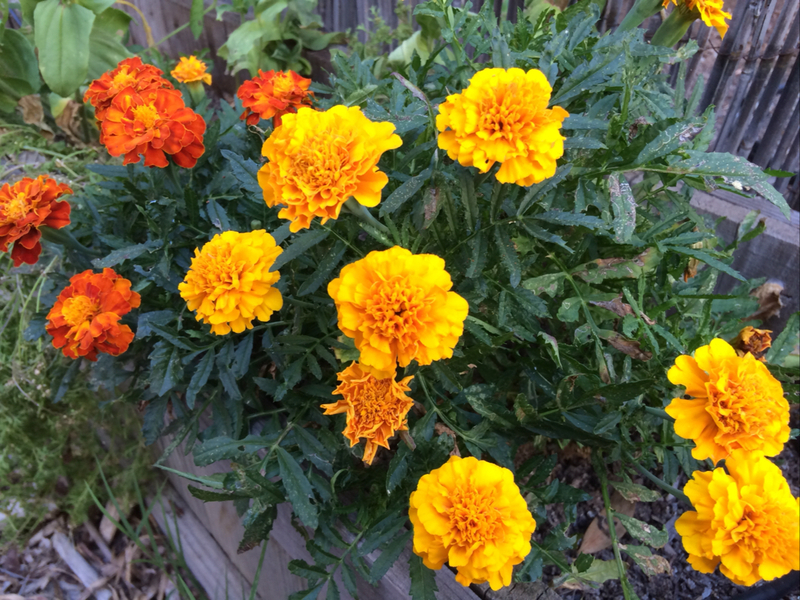 The flowers in our yard really brighten my day, especially the marigolds. 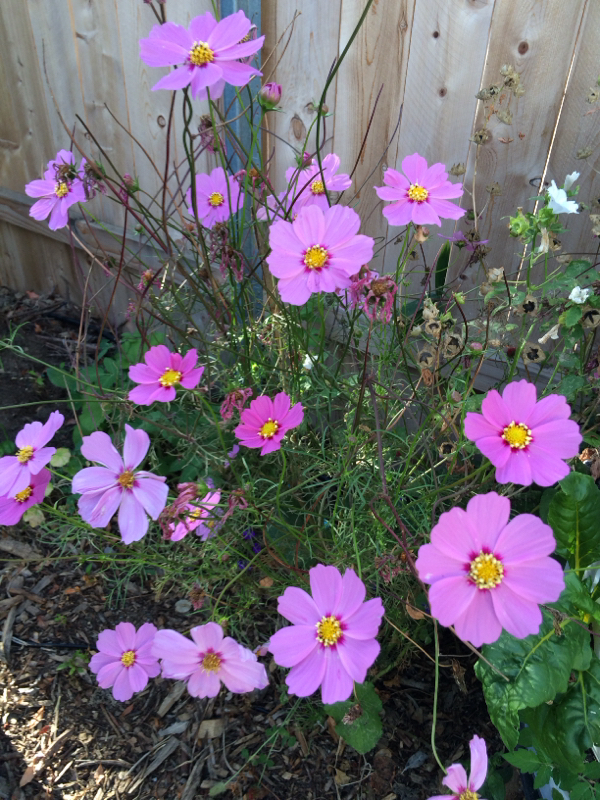 How’s your garden doing this year? Let me know below.